How Children Study, Handle Setbacks & Failures Is Very Different! In order to build stronger leaders of tomorrow, we need to strengthen child education today. Here are several critical issues that we have found in child study. Unlike adults, child study has a lot to do with the management of their parents. For instance, some parents have achieved great successes in science and technology, so they strongly encourage children to do the same. What if the children are Shakespeare, Michael Jackson, and Muhammad Ali? Going where they do not fit, the children will run into more challenges, setbacks, and failures than successes. Learning can improve skills but never create geniuses. Career planning should start with children as well. 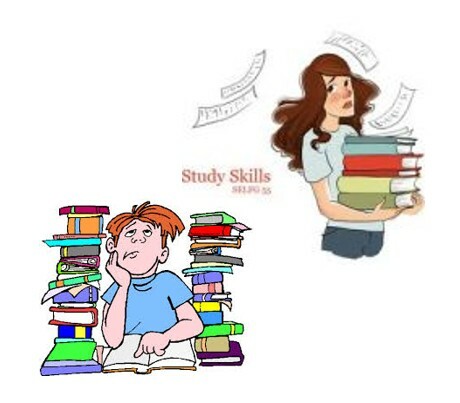 Most people believe that hard-working and motivations are the key to study well. In fact, there are more ways as well as more rules in child study. For example, one student studied very hard, only slept a few hours a day and had almost no break. While her parents were proud of her hard-working, her grades remained poor. After 30 minutes assessment, we suggested letting her sleep enough and have enough breaks and exercises. Two weeks, her ranking improved 40 spots in her grade! Each person has different ways to maintain their optimal brain and body power, so do children. We need to take customized actions to fasten learning, called Custom Fast Learning. How to handle setbacks and failures is critical to each child, especially the smart ones. Studies have found that early successors often crush far worse than others since they have not exercised their muscle to be resilient. I have met many of early successors at hospitals for various stress-related health issues, for example, depression, cirrhosis (due to over drinking), addiction, suicide, etc. The CEOs at Fortune 500 who have to “retire early” often have low Adversity Quotient. Unlike adults, children may show nothing under setbacks or failure but can take dramatic action! Being their friends and knowing how to handle setbacks and failures are the most efficient way to win their trust and help them grow. In addition, it is much easier to strengthen this piece of muscle before they have too many successes and too much proud. Furthermore, if we strengthen their Adversity Quotient now, there will be fewer setbacks and failures for us to handle in the future. The #1 cause of death in children is Accident, and their health can be worse and better faster than adults. Most people called 911 or rush children to Emergency Room when this happens. One 18-y old boy got choked. His parents called 911 immediately. The ambulance arrived in 10 minutes; however, the boy was already dead. Why? The human brain can only live without Oxygen for around 6-7 minutes. The couple almost ended up in divorce. Many children and adults get to the hospital too late, which makes small issues big and big ones hard or impossible. Our first doctors are not those in the hospital, but ourselves or the people around us. Due to their unique development stage, children need extra guidance and support. It is essential to assess adult management and child study at the same time. Like adults, each child is an integrated system of ability, health, and relations with self and society. It is better to look at the big picture instead of Psychology, Health or other parts only, so children can grow healthier and happier and gain more confidence. Early actions on common issues are often critical but straightforward, and each child can be a great leader or a key performer in the future. You can be not only the leader of your company or community but also the leader of the next generation. Some companies pay employees to help their children study. In fact, they can shoot 2 issues with one stone–empower their employees so that they can manage self and children. If talents are your extended arms and legs to achieve your business goal, you and The Prince Synergy are each other’s extended arms and legs to build a stronger next generation. Bin Yang and Wenny Freeman, chief and senior consultants at The Prince Synergy, a leading human capital consulting firm that helps clients know talents on a personal level, make wise investments, get ahead and stay ahead with exceptional human capital. For more info or to schedule a class and interview, please contact us.